Recently I'd been running a Rogue Trader Campaign. The characters spending most of there time being chased across the galaxy by all the horrors the warp and beyond could throw at them. Cue the follow on adventure. 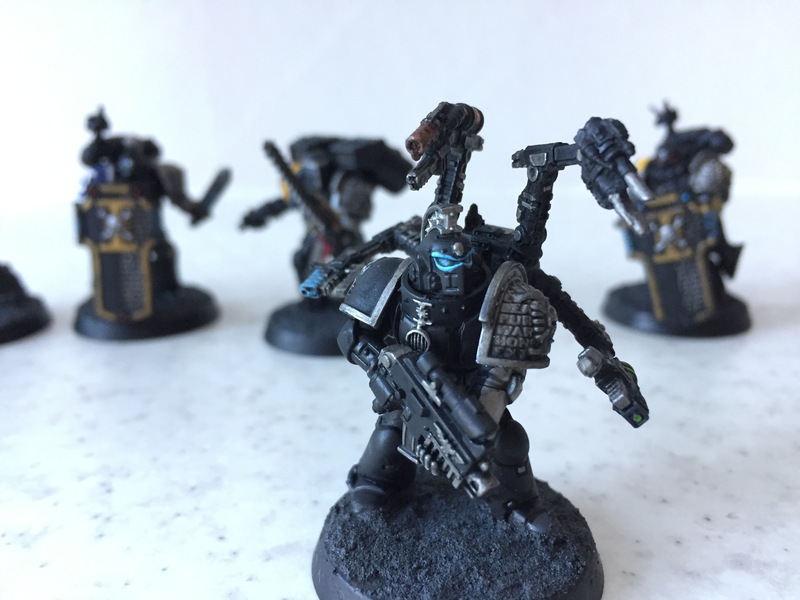 The Deathwatch would revisit aforementioned horrors and give them a good old battering. For those who have played the systems will already know, going from a soft (but very wealthy) mortal to an Astartes is quite a jump. Marines are how they are in the Black Library. Nigh on unstoppable. The kill team proved to be a force to be reckoned with. Usually when I play RPG's I don't use figures, I prefer folks to use their imagination. 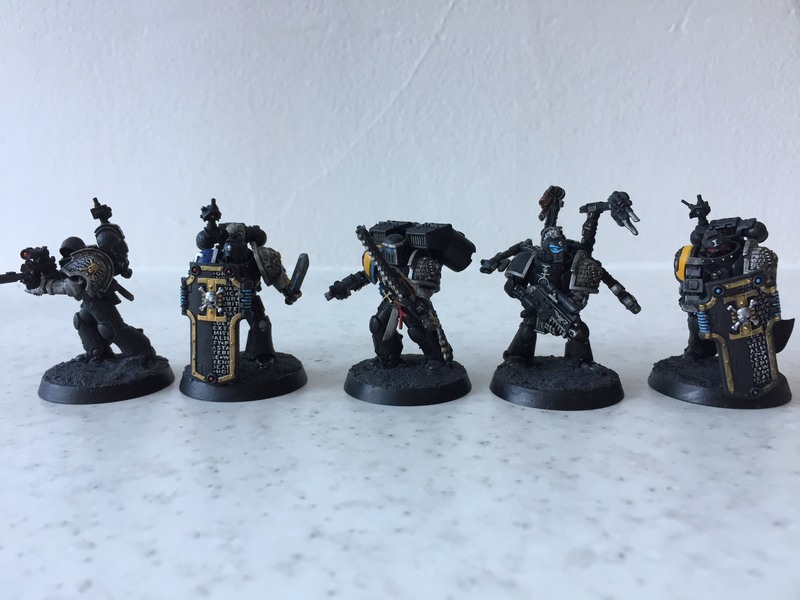 But this time I couldn't resist doing some figures for the characters, especially given that I already have a Deathwatch army for 40K. So I added 5 new veterans to the Watch. Please see below. 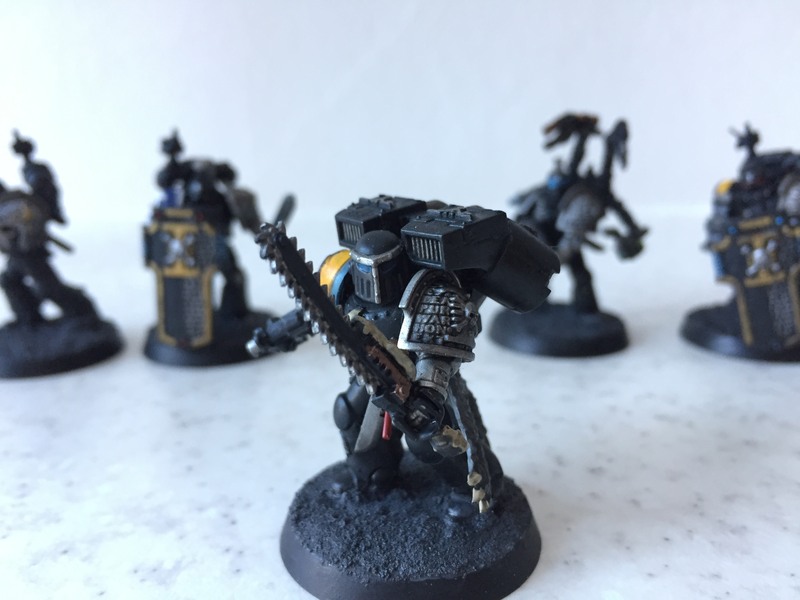 So we recently finished the Deathwatch adventure. The team went out the way many marines go. In a blaze of tyranid and bolt filled glory. With that adventure done we moved onto a pathfinder campaign. Good old swords and sorcery. But another Warhammer adventure is just around the corner, and this time it's 30K!